Two Over-sized swimming pools – This is where the action is for most guests. Swimming, and sunning at the poolside is a great way to spend a summer afternoon. Clean spacious restrooms and changing rooms are conveniently located in these areas. 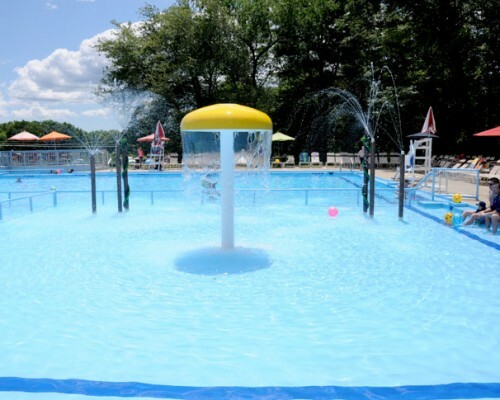 Five wading pools – These range from shallow pools of less than a foot to a secure 30-inches in depth. 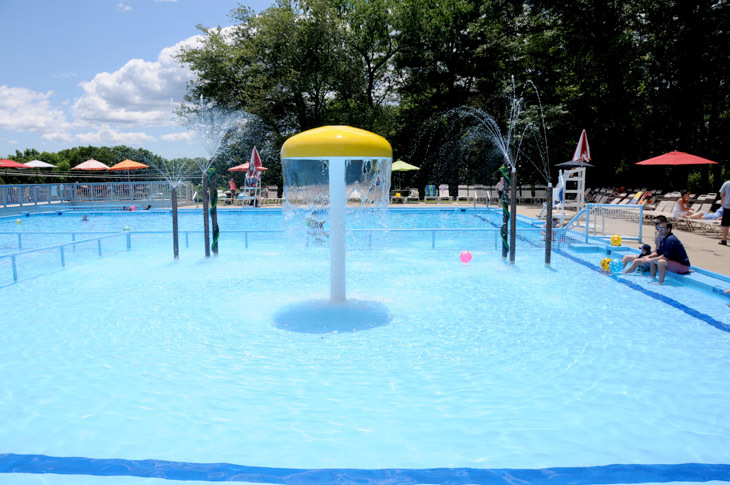 Each is equipped with splashing foundations and interactive water sprays to keep kids giggling and entertained. Two large hot tubs – Luxuriate in warm rippling water and soothe tired muscles at the same time after a day of sports. Up to 20 people can be accommodated in each spa. 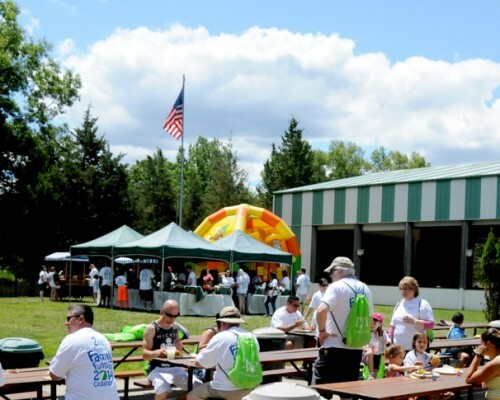 Two softball fields – Everyone expects to play softball at a company picnic. This facility will have people vying for a slot on the team roster. Par 3 golf hole – Challenge your colleagues with Hole-in-One and Closest-to-the-Pin contests. 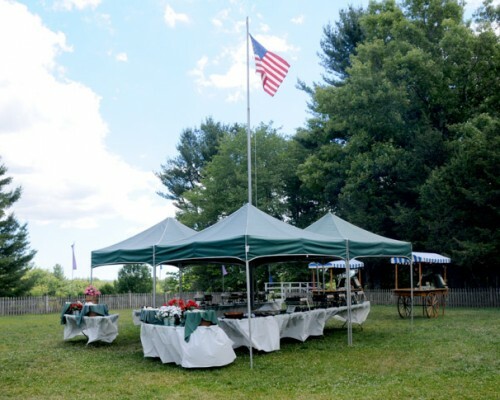 Whiffle Ball Stadium – Our small-scale version of beloved Fenway Park. Step to the plate and take a swing at good fortune! Four volleyball courts – Our suggestion: Pre-plan coed teams of 10 players, five men and five women, for the most engaging competition. 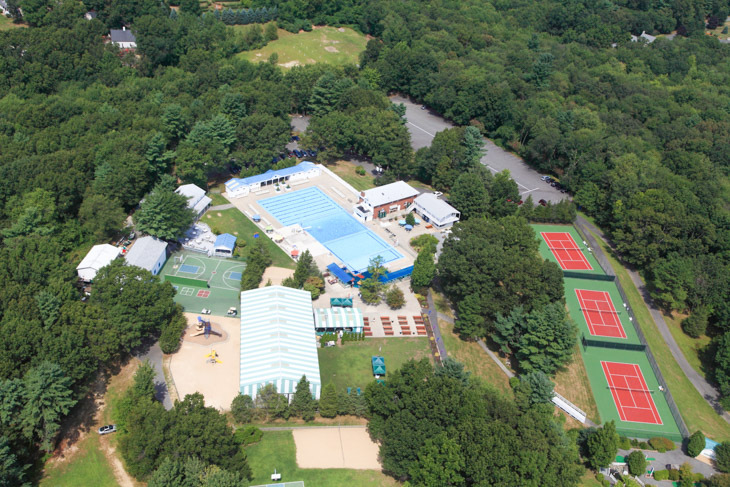 Four basketball courts – Play it straight or try a foul-shooting contest. 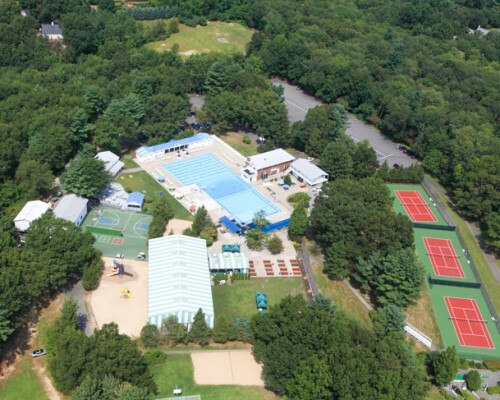 Three tennis courts –Regulation courts with referee chairs and audience bleachers sizzle with fast-paced action. 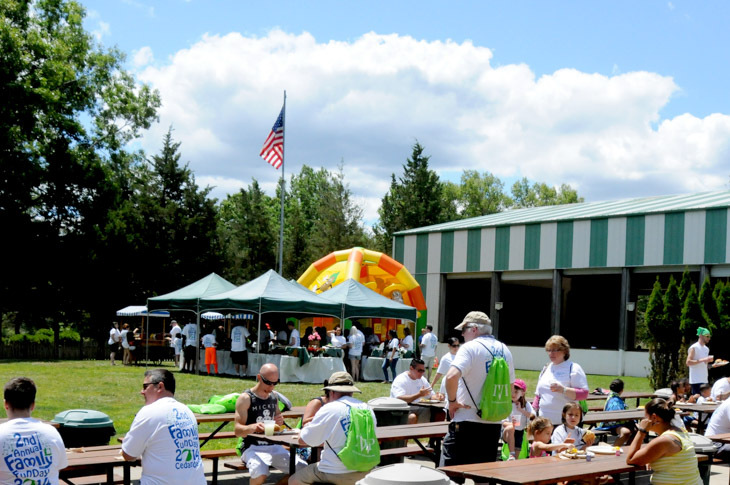 Miniature golf course – Even the least athletic attendees can have fun at this all-time 9 hole favorite. Keep score or just play for laughs. 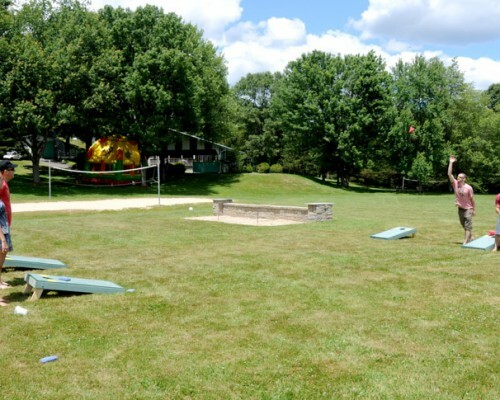 Four horseshoe pits – Test your hand-eye coordination in this old-time game. 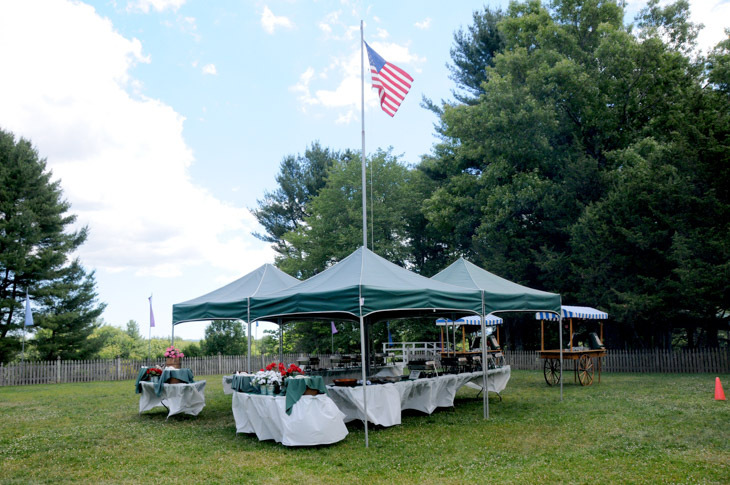 Dining pavilions – Take shelter, take a seat, and take a taste of Cedardale/Groveland’s cooking. Your chosen meals will be available here for an hour-and-a-half window at the serving time of your choice. 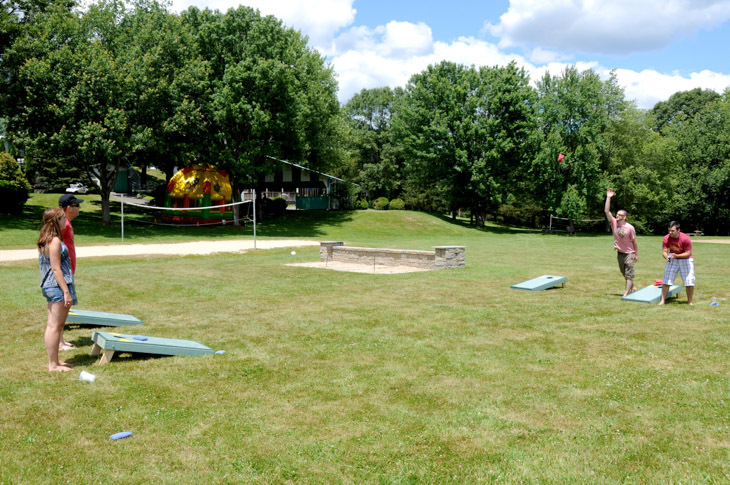 Game equipment — You may opt for extras such as sacks for relay races, filled water balloons, tug-o-war ropes, cones for relay races, inner tubes, blindfolds and a whole lot more. Just give us advance warning, and we’ll have everything ready.